It has happened so often it has practically become routine. At the end of a Turkish parliamentary term, there are always quite a few angry MPs hidden in the ranks of the mainstream political parties. They have a plethora of grievances – dissatisfaction with policy, limited personal attention from party leaders, being looked over once too often for a role in government. Whatever their reasons, these disgruntled MPs get it into their heads that it would be a remarkably good idea to resign and either join another minor party or set up one of their own. “My old party doesn’t understand the Turkish electorate,” the unhappy MP says. “My new party is precisely what everyone has been waiting for.” Or words to that effect. Only it never really works that way. Take Yaşar Nuri Öztürk, who resigned from the CHP in 2004 because he felt it could not achieve “the change expected by the people”. His Rise of the People Party (HYP) managed a measly 0.5% of the vote in the subsequent general election. Or there’s Erkan Mumcu, who sensationally walked away from the first AK Party government and became leader of a temporarily reinvigorated Motherland Party (ANAP). He found himself as the kingmaker in the contentious presidential election of 2007, but didn’t even bother to contest the parliamentary election that followed. Abdüllatif Şener, who served in the first AK Party government, took the unusual step of resigning from the party and as an MP. He went on to start the Turkey Party as a centre-right rival – but it got absolutely nowhere. Then there was İsmail Cem, the foreign minister behind Turkey’s rapprochement with Greece, who in 2002 described his New Turkey Party (YTP) as the left-wing party his country was looking for. It won 1.15% of the vote and disbanded not long afterwards. It is the humble opinion of this writer that Emine Ülker Tarhan’s Anatolia Party (or Ana Parti [which also means ‘mother party’] for short) will not get far. That said, the feeling is mutual about former AK Party MP İdris Bal’s Democratic Development Party (DGP). Mr Bal left the governing AK Party under a cloud several months ago. His new outfit has, like the ultra nationalist BBP, encountered charges that it is being administered from afar by Fethullah Gülen and his movement. That is why at least one member said he was resigning from the party barely hours after it was founded. This is not to disrespect either Ms Tarhan or Mr Bal. 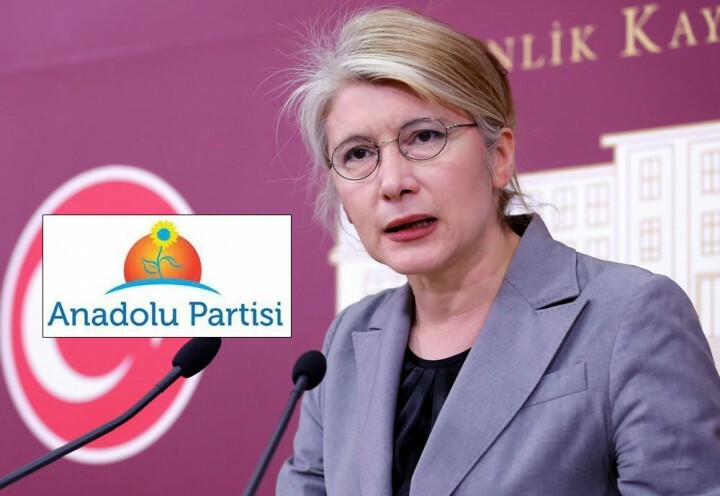 Either may attract more MPs to their cause: several ulusalcı MPs in the main opposition CHP are said to be mooting a switch to the Anatolia Party, for example. But Turkey’s 10 per cent electoral threshold means it takes many years, not mere months, for any party to establish the foothold with the party to enter parliament, let alone form a government. Few expect either leader to still be in parliament this time next year.